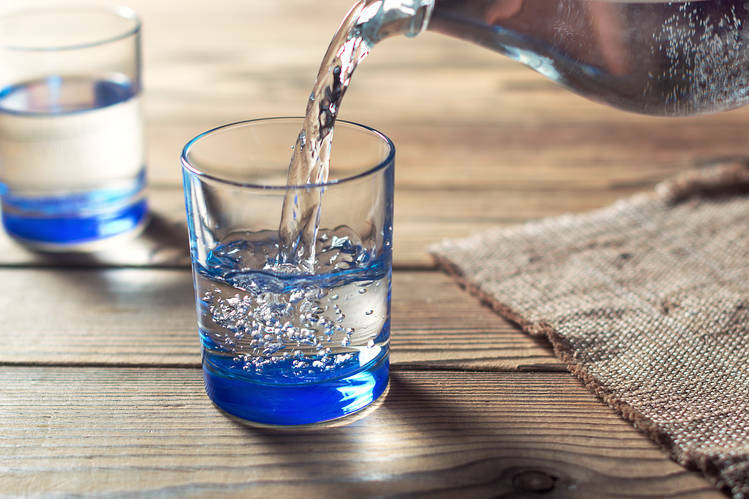 Get Real With $6-a-Gallon 'Raw Water': The trend toward 'authenticity' in food has led consumers to some strange places. :: Henry I. Miller , M.D. The trend toward 'authenticity' in food has led consumers to some strange places. Many Americans, in search of authenticity, seek out "locally sourced," "artisanal" and "natural" foods. Recently I saw a milk delivery truck emblazoned with the words "naturally sourced." Was the point to assure buyers that the milk came from cows, rather than a chemical factory in Shanghai? "Authentic" connotes different things to different people, according to Glenn R. Carroll, a Stanford business-school professor who has studied the phenomenon. Yet it's hard to overstate the growing premium that consumers place on it. In restaurants that he and his colleagues evaluated, customers considered lack of authenticity an even greater detriment than uncleanliness. Authenticity is a difficult thing for a company to try to bottle. "Using authenticity to sell something is kind of self-contradictory and ironic," Mr. Carroll told an interviewer in 2016, "because the whole point of being authentic is not being strategic but instead behaving in a way consistent with true underlying identity and values." Mr. Carroll has found that restaurants that want to be perceived as authentic are most successful when they let customers do the proclaiming. Talking about how authentic you are is akin to bragging about your humility. Mr. Carroll told the same interviewer that "authenticity seems to buffer businesses against negatives." When microbreweries first became popular, for example, many of their products were clearly inferior to big-name beers. Microbreweries were "trading on the fact that they were small-scale craft producers doing something different," Mr. Carroll said. "But people associated the craft operation with higher quality and certainly with higher value and were willing to suspend a lot of judgment." How much judgment are consumers willing to suspend? A lot, if you wrap into authenticity the related idea of "natural." Consider "raw milk," which can cause serious illness because it hasn't been pasteurized. Direct sales to consumers are illegal in about half of U.S. states. Nevertheless, devotion to raw milk can be cult-like. The Food Renegade blog calls it "real milk" and insists it's healthier and more nutritious. There's even "raw water." One company last year reportedly sold "unfiltered, untreated, unsterilized spring water" for $6 a gallon. Herbal dietary supplements, projected to reach world-wide sales of about $87 billion by 2022, are another example. Although produced from natural components, many herbal supplements contain impurities, are extremely variable from batch to batch, and can have extremely harmful effects. As the Food and Drug Administration has stated, "natural doesn't always mean safe." Under pressure from the supplement industry, Congress in 1994 exempted such products from FDA oversight. Vendors are still barred from claiming their supplements prevent or cure illnesses. But they are free to say their products will solve nutrient deficiencies or improve bodily functions—as in "supports prostate health." All they need is some example of research to support the claim, along with a disclaimer on the product's label stating it hasn't been evaluated by the FDA. How's that for authentic? With respect to the long-term prospects of authenticity-branded businesses, Mr. Carroll had some final advice in that 2016 interview: "If you open up and start telling your story, you better make sure it's true and that you're actually doing what you claim you're doing, because you'll be found out if you lie or exaggerate. Someone will eventually discover the hypocrisy and go around telling everybody about it, and you'll be worse off than if you hadn't gone down that route in the first place." Outing a few of the bad actors of the authenticity industry is the authentic purpose of this article. Dr. Miller, a physician and molecular biologist, is a fellow at the Pacific Research Institute. He was founding director of the FDA's Office of Biotechnology.